Tag Archive | "Bowling Green"
The Post went with Phil and Sue Harrison, of Nelson Township, to the American TriFive Nationals in Bowling Green, Kentucky on August 10-12, 2017. This is the 60th anniversary of the 1957 Chevy. 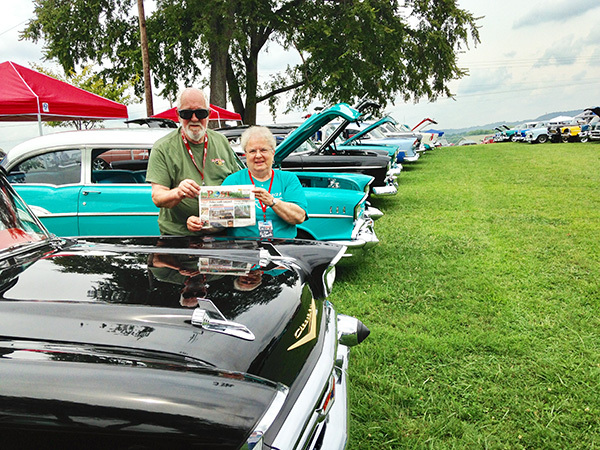 Sue and Phil drove their 1957 Chevy convertible over 1,162 round trip miles to join the 2,717 other 1955, ‘56, ‘57 Chevys at the convention. That sounds like fun! Thank you Phil and Sue, for taking us with you!